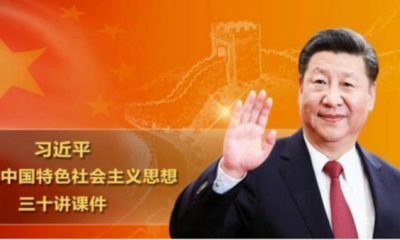 The VPN services that work in China, update after some recent experimentation. 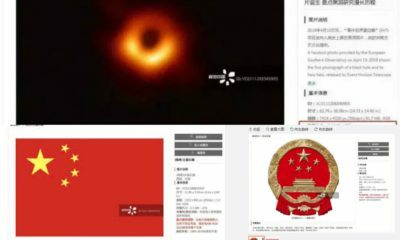 What’s on Weibo recommends the best VPN services for China that really work this summer – some experimentation after our recent block. 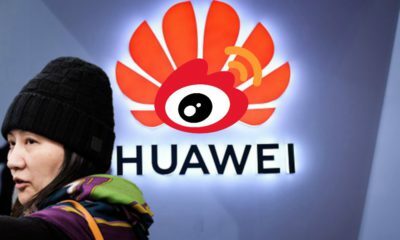 This article is an update after an earlier article recommending VPNs and following the recent blocking of What’s on Weibo in China. 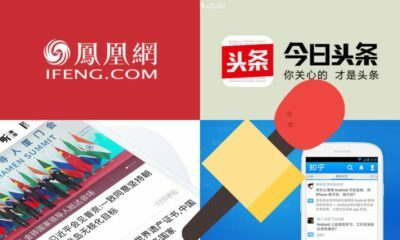 What’s on Weibo has received offers from various VPN companies over the past weeks to try them out for our recommendation page. 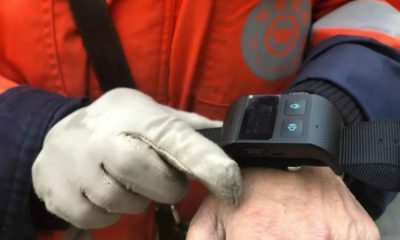 We’ve been testing them out from within the PRC. Most of them, unfortunately, did not work for us. Both ExpressVPN and NordVPN are therefore still the strongest picks this summer – we’ve recommended them before. We’ve noticed that NordVPN especially works well from smartphone (4G and wifi, author uses Samsung Galaxy) and iPad, but is less stable on laptop (author uses Macbook). ExpressVPN is the strongest working connection from the laptop by our experience, with NordVPN being less stable than it is on smartphone and tablet devices. Besides for its stable connections for smartphones and tablets, NordVPN‘s relatively low pricing also makes this one a favorite choice. NordVPN has various plans, and sometimes offer the three-year plan for only $2.99 per month (f.e. Black Friday, Cyber Monday, or Summer Deals). NordVPN is a well-trusted and easy-to-use VPN. From our experience, the staff is always quick in replying and very friendly. The layout of the NordVPN application is also easy to use on desktop, mobile, and tablet. NordVPN offers 1-month plans from $11.95 or 1-year plans from $5.75 per month. To purchase or read more about NordVPN click here. Our other recommendation is ExpressVPN, which actually calls itself the “#1 Trusted leader in VPN.” It is a reliable service with mostly steady connections depending on what location you select; ExpressVPN uses the ‘smart location’ button that helps you pick the best location to connect to from where you are. From our recent experience, connections on a smartphone are not that stable – I personally use NordVPN on smartphone/tablet and ExpressVPN on the laptop. ExpressVPN has excellent service and frequent updates for desktop, mobile, and tablet. They offer single month services starting from $12.95, 6-month plans from $9.99/month, and 1-year plans from $8.32/month. The “30 Days Risk-Free” promise of ExpressVPN makes the barrier to try it out much lower. If you are not satisfied, they’ll get you your money back without any questions asked. To read more about ExpressVPN and purchase it, check here. Do you think we should recommend another VPN and want to share your experiences? We’re open to try it out and add to this list – feel free to contact us. 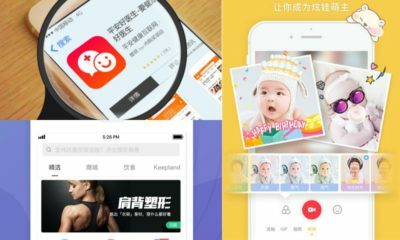 Over the past weeks, What’s on Weibo has published a series of five articles listing the most popular Chinese apps within this period across various categories. 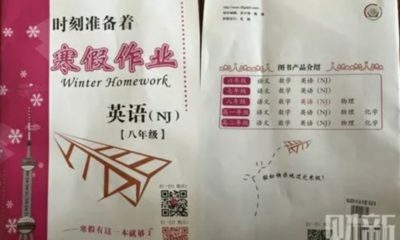 Although these apps are mostly targeted at Chinese mobile users, some are also very useful for those studying Chinese. This year marks 60 years of Chinese TV drama. 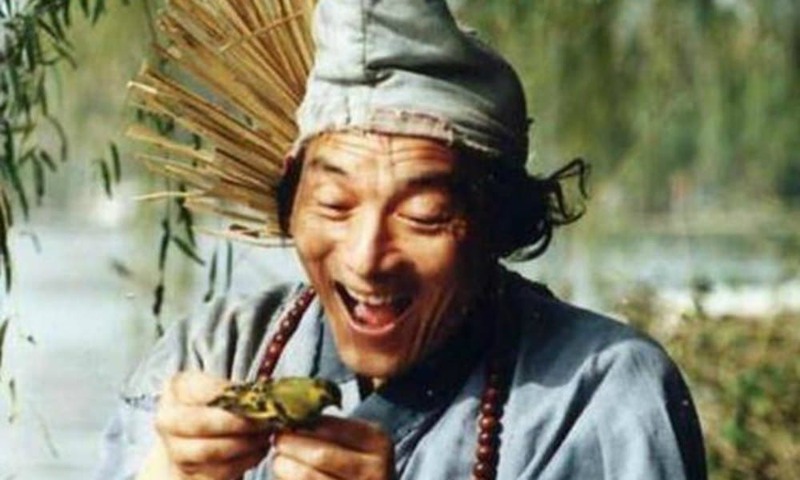 These are the best Chinese TV dramas of all time. They might have aired 30 years ago, but some TV dramas just never get old. 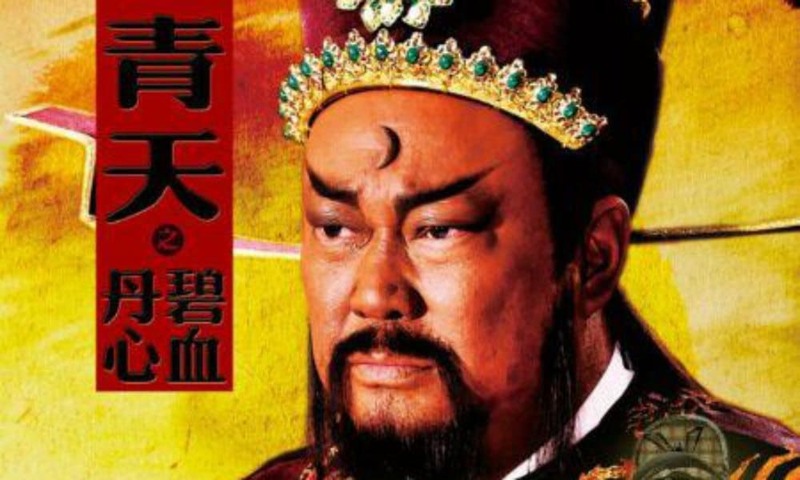 We have listed the greatest classic Chinese TV dramas of all time, that, either because of their high-production value or historic ratings, are still talked about today. A special overview by What’s on Weibo, as China celebrates 60 years of TV drama this year. 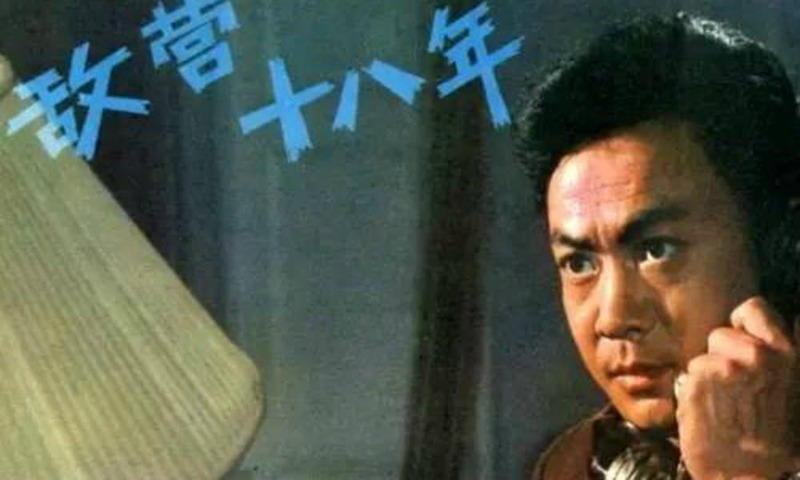 This year marks the 60th anniversary of Chinese TV drama since the airing of the very first (one-episode) drama A Mouthful of Vegetable Pancakes (一口菜饼子) in 1958 – the same year in which the very first Chinese television station started broadcasting (Bai 2007, 77). 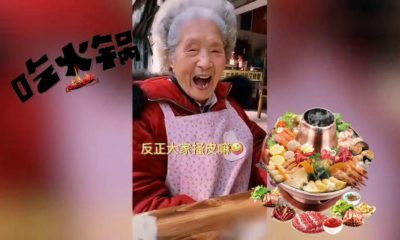 The drama, live broadcasted by Beijing Television, sent out a message of frugality, as one young girl warns her sister not to waste food by remembering her of their difficult past and brave mother, who died of hunger while even refusing to eat the last bit of food, a vegetable pancake. A Mouthful of Pancakes aired in 1958. Much has changed within those sixty years. After a time when the production of TV dramas practically came to a standstill during the Cultural Revolution, the late 1970s and early 1980s saw a boom in the popularity of television dramas, along with a spike in households that owned their own TV. From 1980 to 1990, the number of household television sets in China increased from 5 to 160 million (Wang & Singhal 1992, 177). Since the 1980s, mainland China has gone from a country where most television dramas were imported from outside the country, to one that has the most thriving domestic TV drama industry in the world. Some TV dramas in this list have become classics through time, some are fairly new but have already become classics within their genre. 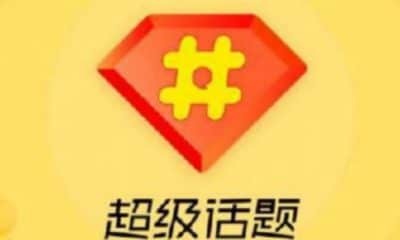 This list has been fully compiled by What’s on Weibo, based on popularity charts on Chinese search engine Sogou’s top tv drama listings of all time, together with ranking on Douban, a big Chinese social networking service and influential media review website, and also based on academic sources that note the importance of some of these TV classics. *1 We will list a recommendation list of relevant books at the end of this article. 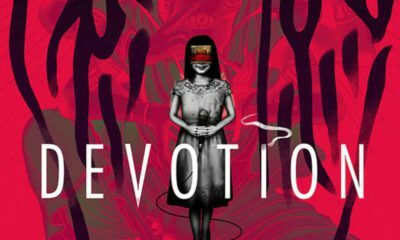 Most of these series will have links redirecting to available versions on Youtube or elsewhere – unless written otherwise, they do not have English subtitles. 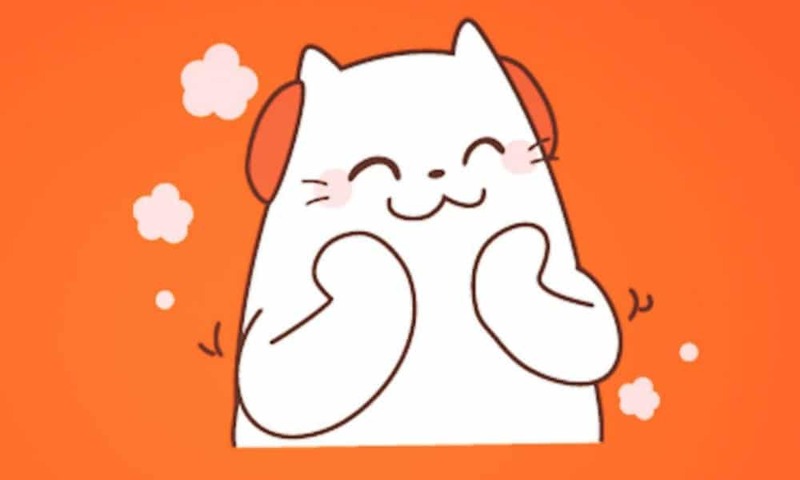 Please share English subtitled versions in the comment section if you found them, we’ll add them to the list. 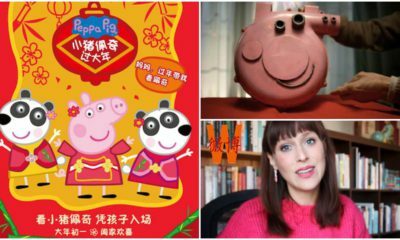 This article is focused on those classics that have been important for the TV drama industry and audiences of mainland China. 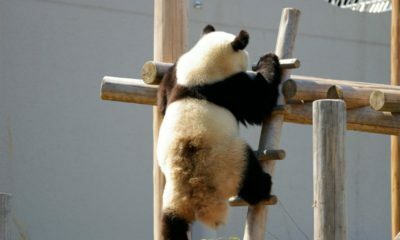 Although several of them were produced in Hong Kong or Taiwan, the majority is from the PRC. These dramas are listed in chronological order of appearance, not listed based on rankings. 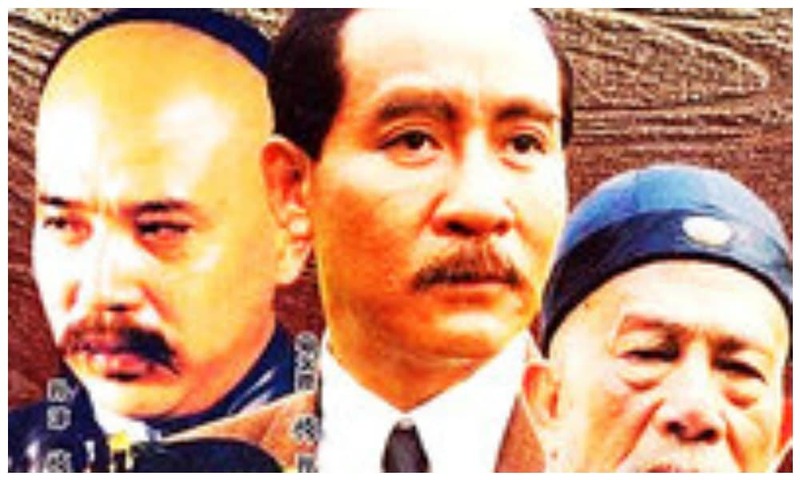 This TV drama became such a sensation across China in 1980, that it also became known as the Chinese equivalent to the classic Godfather series. 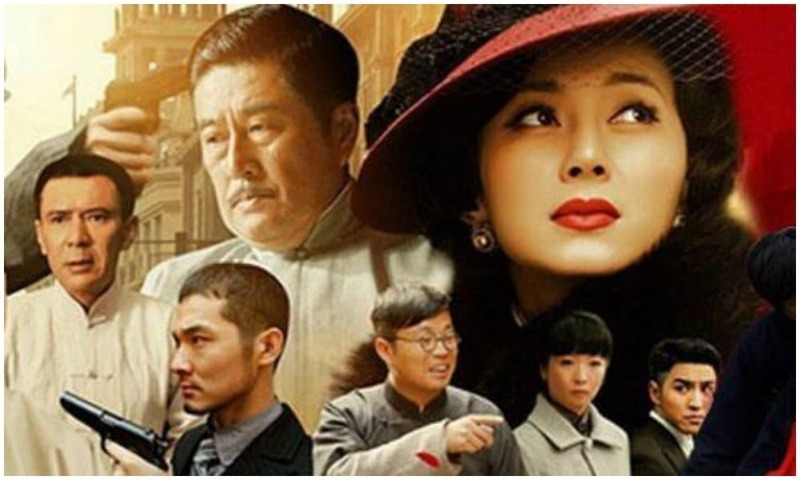 Actors Angie Chiu and Chow Yun-Fat star in this Hong Kong drama, that is set in the underworld society of 1920s Shanghai, and revolves around the tumultuous love story between Feng Chengcheng and Xu Wenqiang. The series has become such a classic that it still plays an important role in popular culture of China today, with newer films and TV dramas also being based on the original series (the 2007 mainland China TV series Shanghai Bund, for example, is a remake of the 1980 original). If you ever go to karaoke, you’re probably already familiar with the shows’ famous theme song ‘Seung Hoi Tan’ (上海滩) by Frances Yip (see here). Watch the first episode here on Youtube. 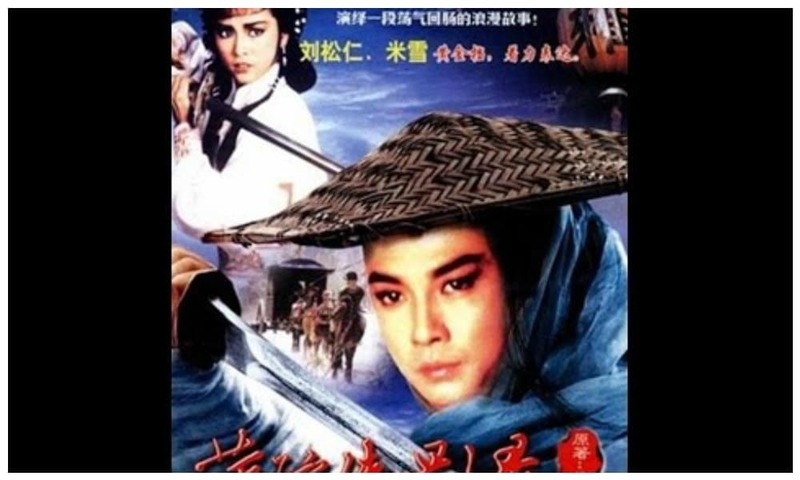 Eighteen Years in the Enemy’s Camp is somewhat of a cult classic in China. Despite the fact that the TV drama itself was somewhat poorly produced, it still gets high ratings on sites such as QQ Video or Douban today. At a time when the Chinese TV drama market was still dominated by imported television series (from Hong Kong, US, and other places), Eighteen Years in the Enemy’s Camp was the first drama series made by CCTV (Bai 2007, 80), directed by Wang Fulin (王扶林) and Du Yu (都郁). The story revolves around the Communist Party member Jiang Bo (江波), who spends 18 years undercover in the “tiger’s den” (虎穴), the enemy’s camp, as a National Army officer, thwarting the Nationalists’ plans until the 1949 victory of the Communists. Fun fact by Ruoyun Bai (see references): despite the fact that the entire show is about the Nationalists Army, not a single Nationalist Army uniform could be found for the cast. The uniforms that were used, were not up to par: the main character had to leave his coat’s collar unbuttoned because it was too tight, and always has his hat in his hands because it was actually too small to fit his head (2007, 80-81). All episodes can be watched here on YouTube. This popular TV series is centered around Ji Gong, the folk hero and Chan Buddhist monk who lived in the Southern Song and, according to legend, had supernatural powers and spent his whole life helping the poor. The main role is played by renowned Chinese artist and mime master You Benchang (游本昌). In an interview with CRI, the actor once said that he was heavily influenced by his idol Charlie Chaplin for this role, sometimes even imitating some of Chaplin’s gestures. Episodes available on Youtube here. 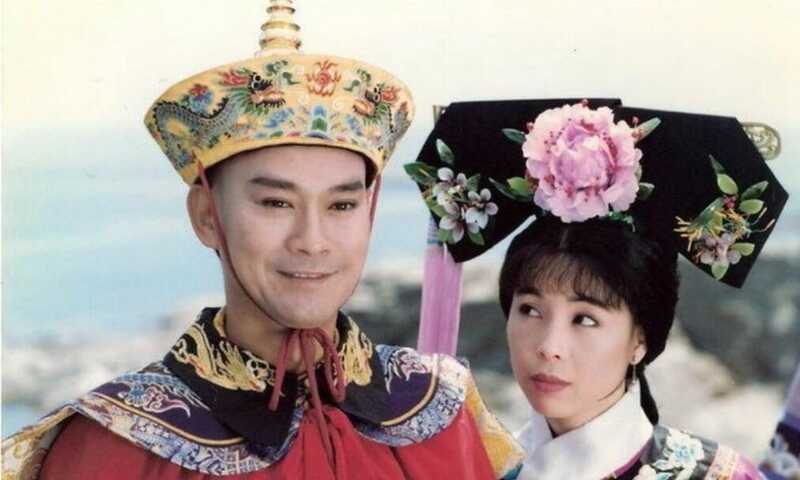 This classic TV drama features actors Damian Lau as Zhang Danfeng and Michelle Yim as Yun Lei, whom are often praised by drama lovers for their perfect chemistry in these series. Of the many adaptations there are of Liang Yusheng’s wuxia novel Chronicles of The Shadow Swordsman, many say this is their favorite. This CCTV mini-drama, based on the novel by Ke Yunlu (柯云路), tells the story of a young Party secretary fighting against corruption. 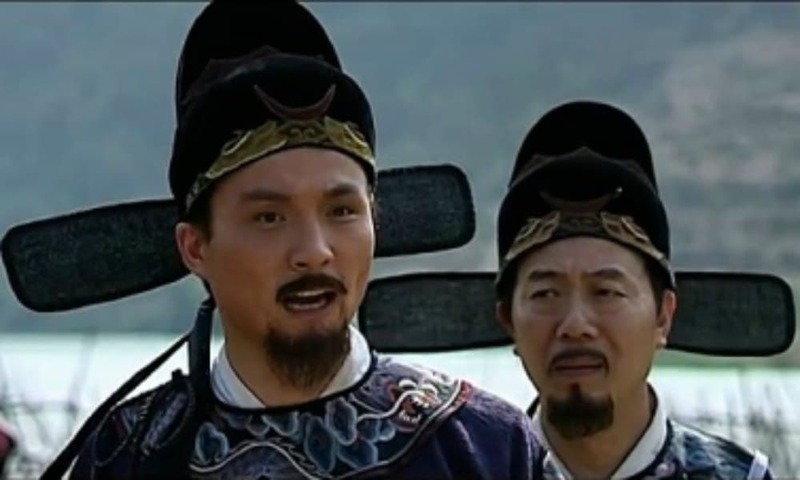 Before Heaven Above (later in this list), it is thus one of the very first dramas to focus on corruption as a theme, and it also caused a buzz at the time for doing so – most people over 50 in China today will probably remember this TV series today. Watch on Youtube (with English subtitles!) here. This is an all-time favorite TV series in China that is still rated with a 9.5 on the TV drama database of search engine Sogou. It has been an instant classic from the moment it was first broadcasted by CCTV in October of 1986. Journey to the West (Xīyóu jì 西游记), published in the 16th century (Ming dynasty), is one of the most important classical works in the history of Chinese literature, and tells the story of the long journey to India of the Tang Monk Xuánzàng, who is on a mission to obtain Buddhist sutras. 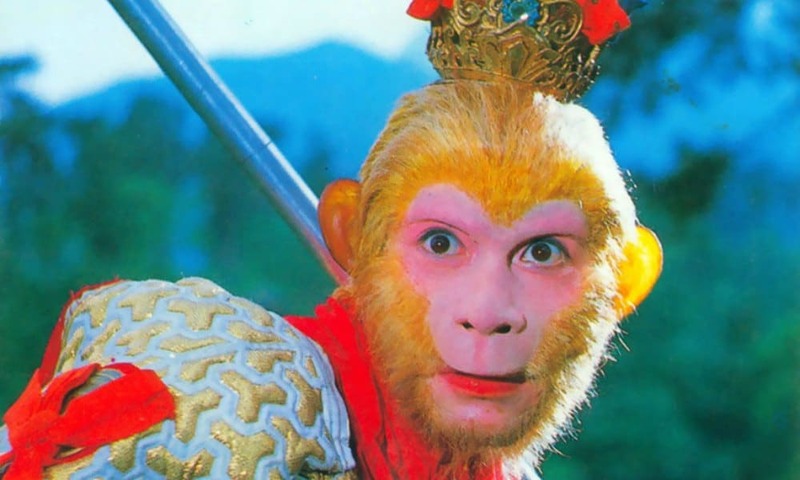 He is joined by three disciples, the pig demon Zhū Bājiè, the river demon Shā Wùjìng, and Sūn Wùkōng, who is better known as the Monkey King in the West. 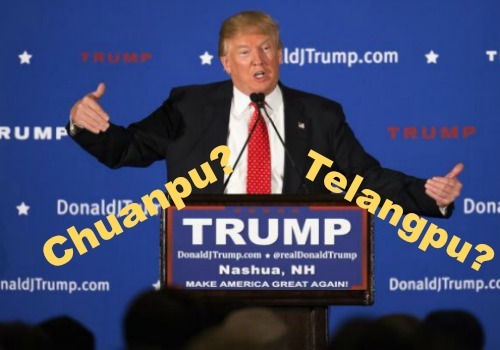 Watch with English subtitles on YouTube here. Even today, this CCTV TV series from 1987 is still rated as one of the best Chinese television series of all time on Sogou, where viewers rate it with a 9.6. 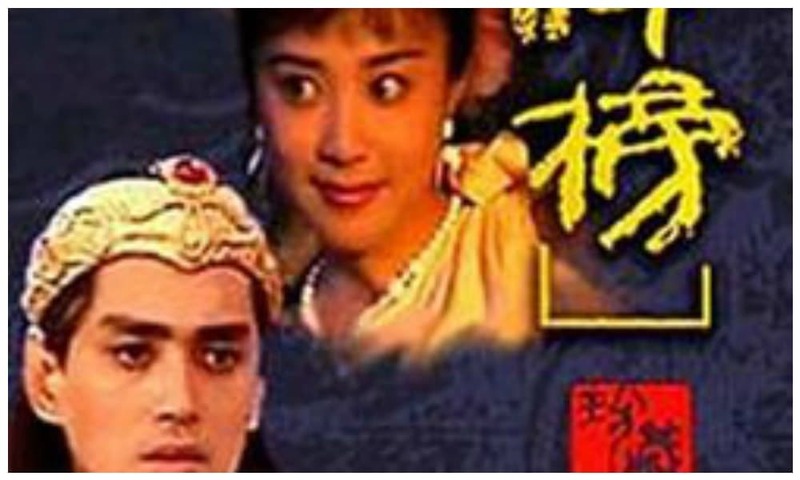 Like other series in this list, this is an adaptation from a classic literary work; Dream of the Red Chamber (Hónglóumèng), one of China’s Four Great Classical Novels, which was written by Cao Xueqin in the mid-18th century during the Qing. 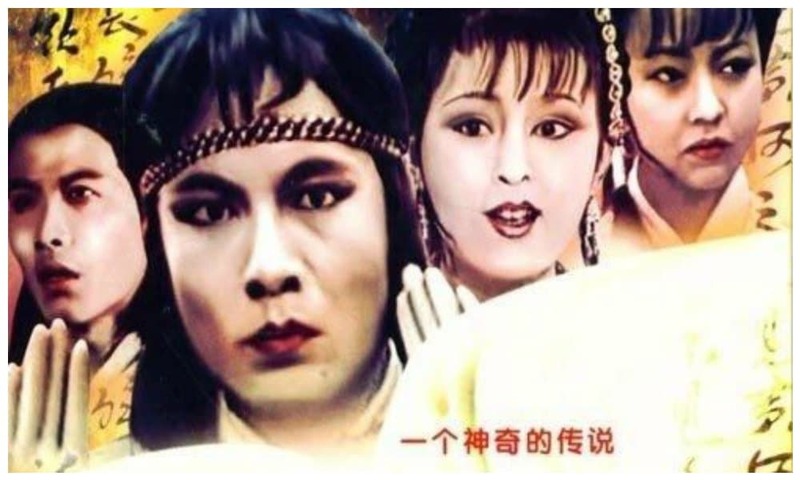 In June of 1987, this TV drama became the first Chinese television series to be exported to Malaysia and West-Germany, making it “the first entry of Chinese tv drama into the global market” (Hong, 32). The first episode is available on YouTube here. This TV series is based on the classical novel Fēngshén Yǎnyì (封神演義), also known as Investiture of the Gods or Creation of the Gods), written by Xu Zhonglin and Lu Xixing. 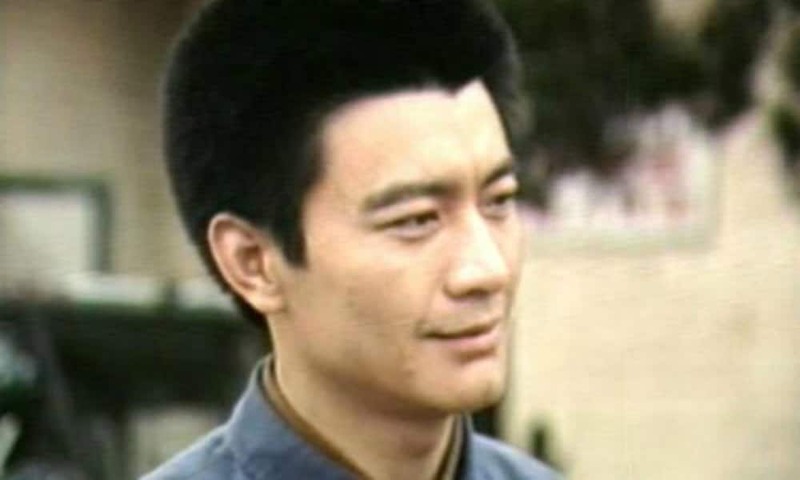 Famous Chinese actor and painter Lan Tianye (蓝天野) was praised for his role as Jiang Ziya in this drama. The (female) director Guo Xinling (1936-2012) was a Party member who worked on many televised works during her career. Just as many others of the series in this list based on classic novels, there are remakes of these series in recent times. Directed by Lu Xiaowei (鲁晓威) and Zhao Baoguang (赵宝刚). 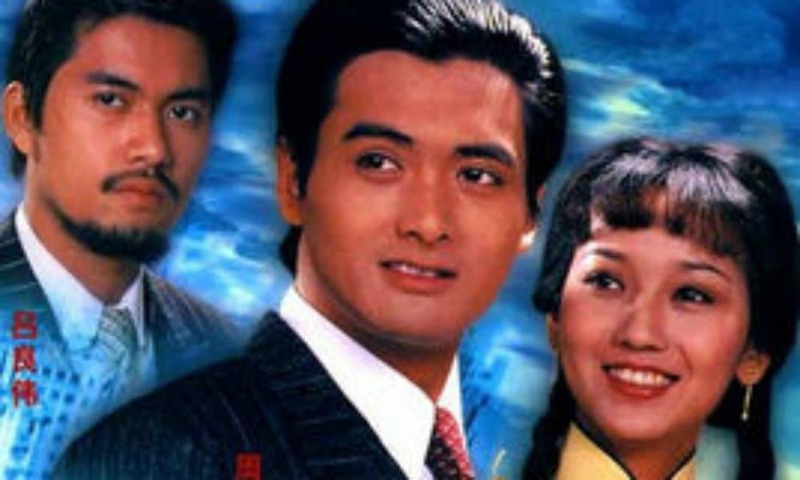 Yearnings is also known as China’s real first soap opera, which caused a sensation across the nation – sales of TV sets surged, and streets were empty when it aired. The story’s time spans from the Cultural Revolution until the 1980s reform period. 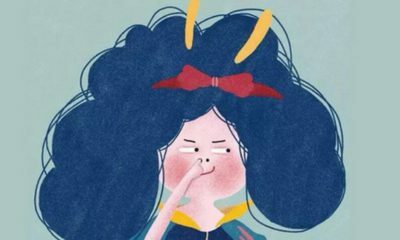 The series, set in Beijing, tells the story of working-class woman Liu Huifang and her unlikely marriage to the middle-class Wang Husheng, a university graduate who comes from a family of intellectuals. When Huifang finds an abandoned baby, she adopts it against the will of her husband. As the first TV series that focused on the hopes and dreams of ordinary Chinese people, the success of Yearnings was unprecedented, and it formed the beginning of Chinese television drama as we know it today. 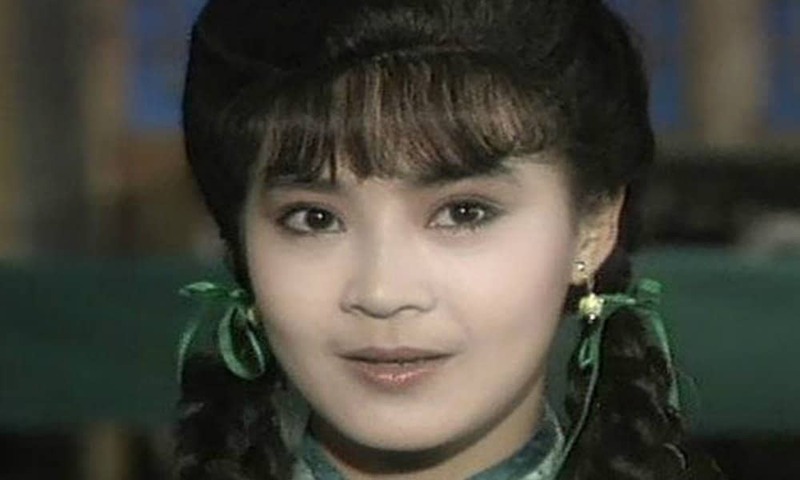 One of the main stars in this series is actress and producer Wenying Dongfang (东方闻樱), who also starred in A Dream in Red Mansion (1987). By commenters on Douban, this series is described as a “cult classic.” Although some say the quality of the series, now, looking back, is somewhat substandard or silly, according to many, the nostalgia of seeing it in the early 1990s and being excited about it seems to play a major factor in why people still grade this one as a true classic – it’s nostalgia! 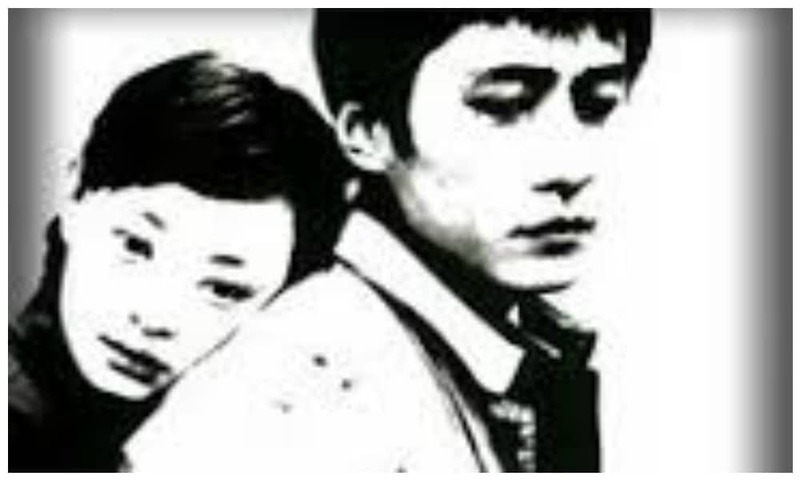 Wan Chun is a 1990 Taiwanese television series about a girl named Wan Chun and her three adoptive brothers, that is based on the 1964 novel “Wan-chun’s Three Loves” (追尋) by Taiwanese writer and producer Chiung Yao, and which is set in Republican era Beijing. This is the first cross-strait co-production, as a Taiwanese TV series filmed in mainland China. Wan Chun was followed up by the 1990 Taiwanese television drama series Mute Wife based on Chiung Yao’s 1965 novelette of the same name. In today’s TV drama environment of China, dramas that focus on life during the imperial era are ubiquitous, with titles from the Imperial Doctress to Story of Yanxi Palace being everywhere. But when this drama aired in the early 1990s, it was something quite new. The Legend of Qianlong, also known with the English translation A Fanciful Account of Qianlong, tells the (fictional) stories of the Emperor Qianlong’s Tours of Southern China. 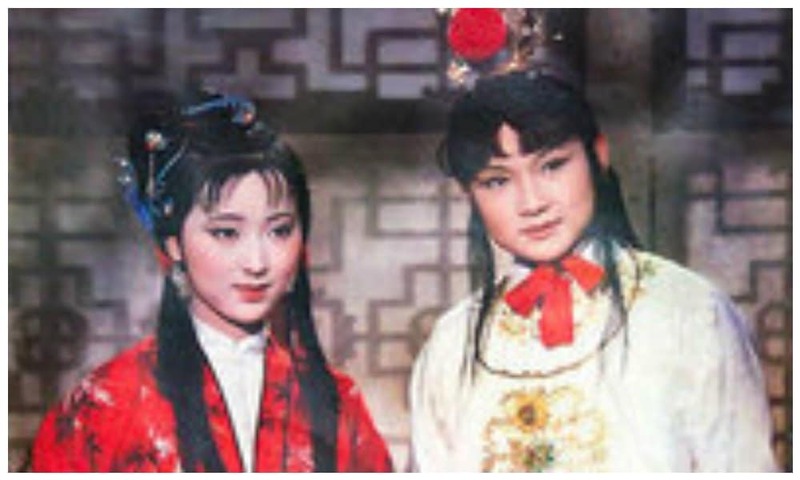 It was the beginning of a drama genre that turned out to be hugely popular, with many new television series focusing on emperors and empresses in their youth or their tumultuous lives during the height of their power (Barme 2012, 33). Perhaps, this 1991 series will always be a classic just because it was one of the first within its genre. As many of the classics in this list, this hit TV series is also based on a folk legend, namely that of Madame White Snakee, a mythical snake-like spirit who strives to be human, which is a source for many major Chinese operas, films. The 1992 TV series stars Angie Chiu and Cecilia Yip. In 2016, it was still one of the most replayed TV series. Even on IMDB, it is rated with an 8.2. The TV series Beijinger in New York, also known as A Native of Beijing in New York, based on the novel by Glen Cao (Cao Guilin), was a hit when it was first broadcasted broadcast nightly on CCTV and watched by millions of Chinese. The story follows the immigrant life of cello player and Beijinger Wang Qiming (王起明), who arrives in New York in 1980 together with his wife, and begins working as a dishwasher the next day. The TV series marks a first in several aspects. 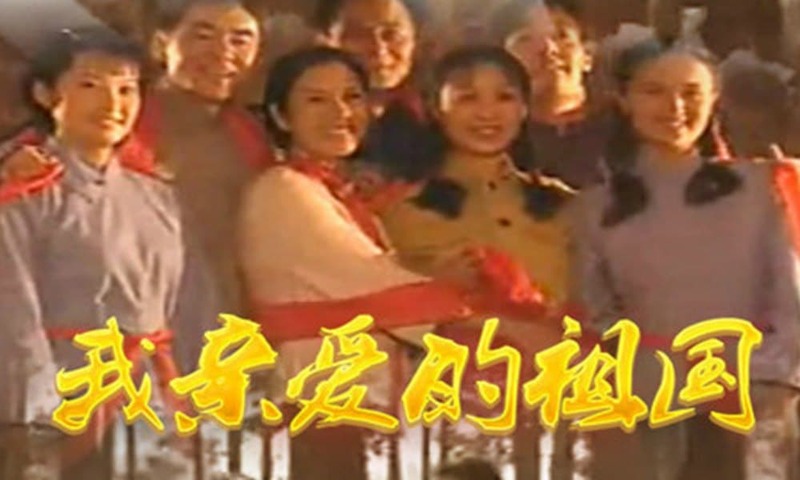 It was the first Chinese-language TV show to be shot in the United States, but it was also the first time ever for the production of a Chinese TV drama that a bank loan was used in order to make it possible (Bai 2007, 83); in other words, it also marks the start of a more commercialized TV drama environment. FYI: the bank loan that was used was a total of US$1.3 million. First episodes on Youtube here. 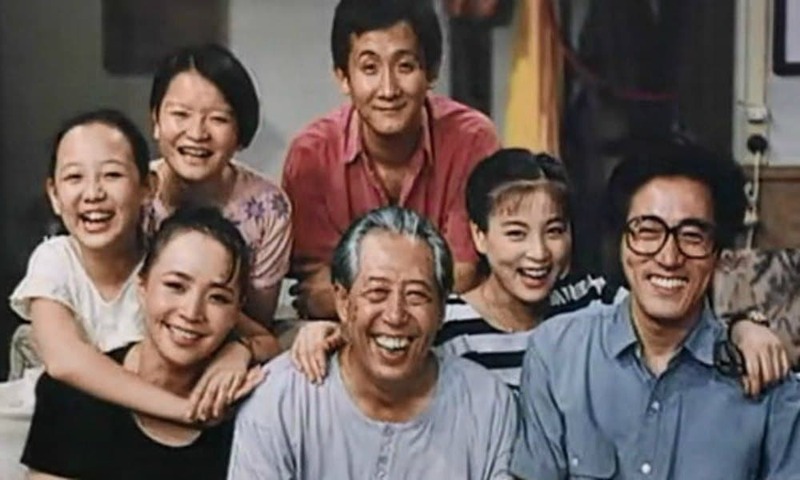 I Love My Family (Wǒ ài wǒjiā) is one of China’s first popular sitcoms, and the first Mandarin-language and multi-camera sitcom, that aired from 1993 to 1994. It has since been rerun on local channels countless of times. 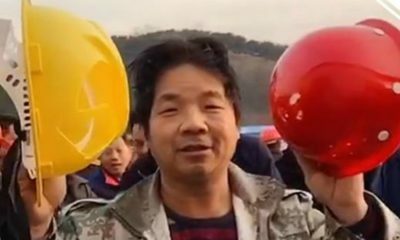 One of the show’s central stars is Wen Xingyu (文兴宇), who was a popular comedian and director in mainland China. At the time of I Love My Family, sitcoms were mostly characterized by their low production cost; three episodes were made within five working days (Di 2008, 122). Some episodes on Youtube here. This series is themed around Bao Zheng (包拯), a government official who lived during China’s Song Dynasty, from 999 to 1062, and who was known for his extreme honesty and uprightness. Award-winning Taiwanese actor Jin Chao-chun (金超群) plays this role. 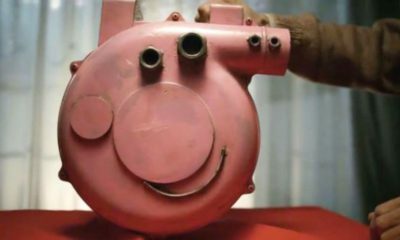 The series was originally scheduled for just 15 episodes, but was received so well when it aired on Chinese Television System, that it was eventually expanded to 236 episodes. The story of Justice Bao is still a recurring topic in the popular culture of mainland China, Hong Kong, and Taiwan. There was the 2008 Chinese series Justice Bao, and the 2010 New Justice Bao, that also starred Jin Chao-chun. Some episodes available with English subtitles here. This is another classic TV series produced by the CCTV, and that is also adapted from a classical novel (same title, written by Luo Guanzhong). Its director, Wang Fulin (王扶林), also directed the CCTV’s first TV drama Eighteen Years in the Enemy’s Camp, and A Dream of Red Mansions. The production of Romance of the Three Kingdoms is especially noteworthy because the productions costs broke all kinds of records at the time; the production of the 84 one-hour episodes took four years, total costs were over 170 million RMB (±US$25 million), and around 400,000 people were involved – the larghest number of people involved in a production in the history of Chinese television. THe show has been watched by some 1,2 billion people around the world (Hongb 2007, 127). 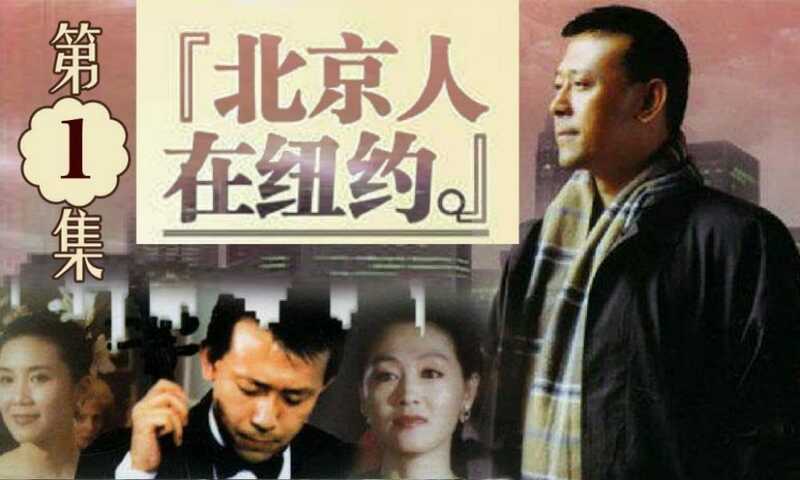 In late 1995, the CCTV drama Heaven Above (Cāngtiān zài shàng) debuted on Chinese TV as the first TV series about high-level official corruption in the PRC. It would certainly not be the last, as ‘corruption dramas’ became wildly popular – it is the entire focus of the 2014 book Staging Corruption by scholar Ruoyun Bai. Foreign Babes in Beijing (Yáng niū zài Běijīng) was one of the new kinds of dramas that featured foreigners in China. This series focues on two Chinese men and two American women, of which one seduces one of the Chinese (married) men. The show was a big hit in the mid-1990s. about her experiences of playing in the show and her life in China at the time. Watch on Billibilli here, QQ, or on Youtube. This 1999 series is still rated with a 9.1 on Douban today. The series tells the experiences and hardships of three generations of Chinese intellectuals during the tumultuous (war)history of China’s 20th century, starting during the May Fourth Movement in 1919. Chen Jianbin (陈建斌) is one of the famous actors starring in this TV drama as Fang Xuetong. Yongzheng Dynasty is one of many so-called “Qing dramas” – TV dramas that focus on palace life during the 1644-1911 Qing Dynasty. According to scholar Zhu (2008), one of the reasons that dynasty dramas such as these became so enormously popular in mainland China is that (1) certain social and political issues can be discussed in the shape of stories and settings that are very much removed from modern-day China, allowing for more relaxed censorship policies on storylines and dialogues, and (2) that the reconstruction of “history” allows room for artistic interventions (22). 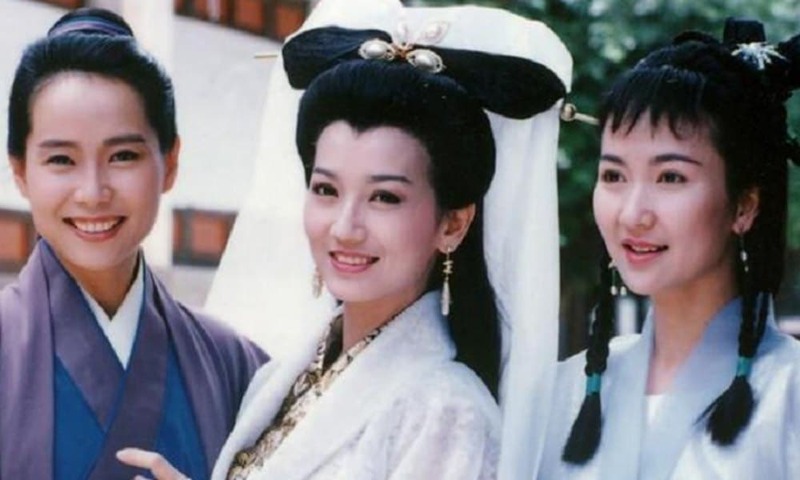 This epic TV drama was loosely based on historical events in the reigns of the Kangxi and Yongzheng Emperors, and became one of the most watched television series in mainland China of the 1990s. Also outside of China the show became very popular, making the so-called ‘Qing dramas’ an export product. Watch on Youtube , buy on Amazon with English subtitles. This is one of the most important TV series in this list. 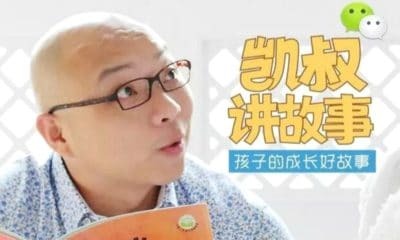 On Sogou ratings, Towards the Republic, which is also known as For the Sake of the Republic (Zǒuxiàng gònghé), is one of netizens’ top all-time favorite series, rated with a 9.7. 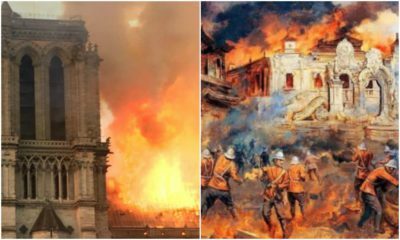 The CCTV TV drama tells the story of the historical events in China from 1890 to 1917 – the time during which the Qing Dynasty collapsed, and the Republic of China (1912-1949) was founded. 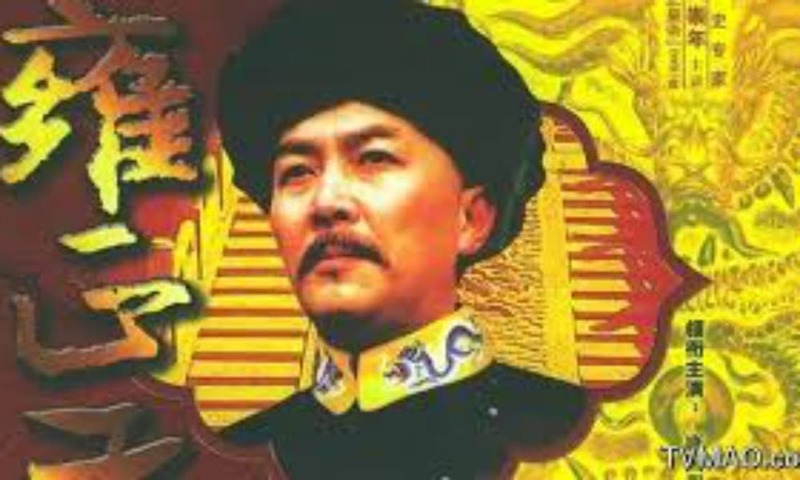 Important historical events such as the First Sino-Japanese War (1894–1895), the Hundred Days’ Reform (1898), the Boxer Rebellion (1900) and the Xinhai Revolution (1911) are all featured in this epic drama, that mainly focuses on the lives of Li Hongzhang (Chinese general in late Qing), Empress Dowager Cixi, Sun Yat-Sen, and Yuan Shikai. 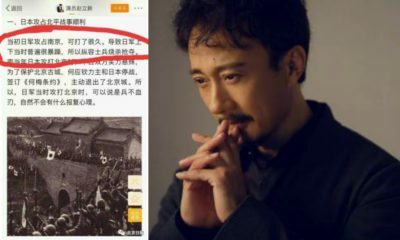 The historical drama was not without controversy, and some parts of it have been censored in mainland China. The original series had 60 episodes, which was later brought down to 59. The TV drama has also been a fruitful topic for scholars for its representation of history. 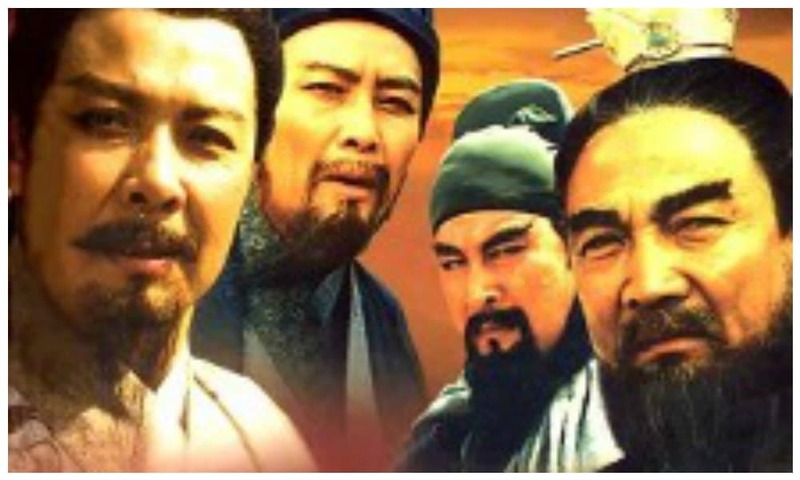 In the 2007 book Representing History in Chinese Media: The TV Drama Zou Xiang Gonghe (Towards the Republic) by Gotelind Mueller, the entire series is analyzed in how history is portrayed and narrated. 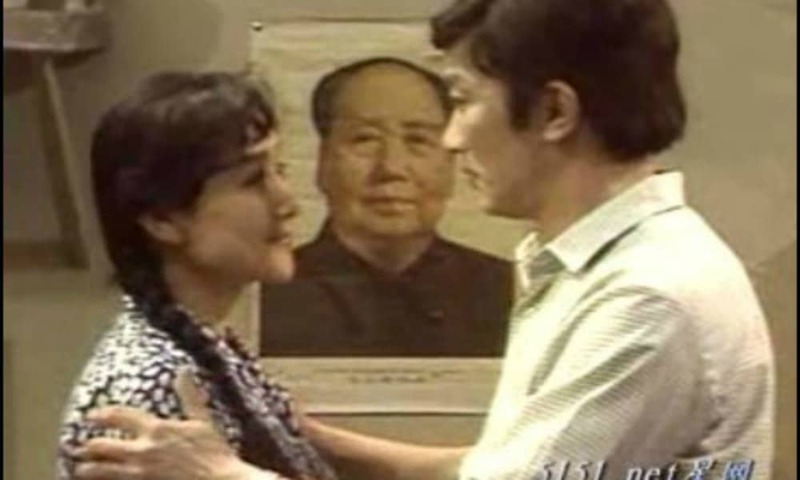 There are almost 40,000 netizens ranking this 2004 TV drama on Douban, where it scores a 8.7. The TV drama, which is also known as Romantic Life in English, dramatizes memories of the Cultural Revolution, focusing on a group of friends, their hopes and dreams, and their romantic life. It is set in Beijing in the late period of the Cultural Revolution (1966-1976). Chuang Chen (陈创), Liu Mintao (刘敏涛), and Li Ding (李丁) star in this family drama, which is ranked with a 9.4 on Sogou, and 4,5 stars or a 9,4 on Douban (more than 5500 voters). 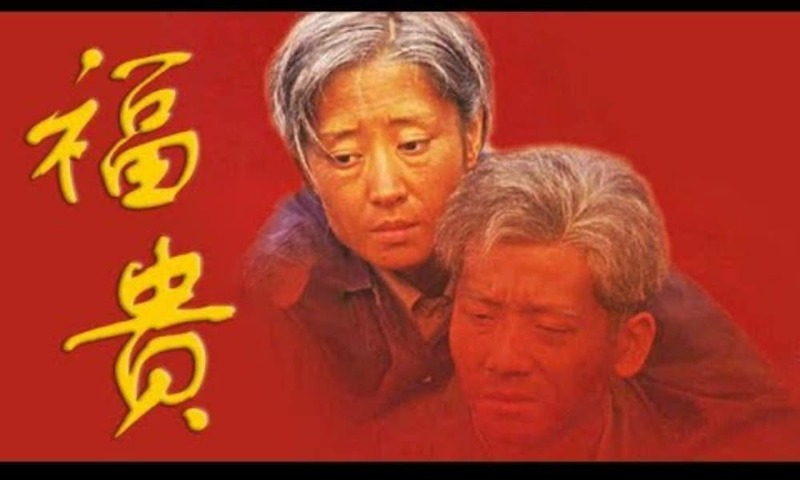 The drama is based on the 1993 novel by Yu Hua (余华) To Live (活着), which focuses on the struggles of the son of a wealthy land-owner, Xu Fugui, amidst the tumultuous times of the Chinese Revolution. The story became well-known by the movie of the same title by Zhang Yimou, which became an international success. Ming Dynasty in 1566 (Dàmíng wángcháo), starring Chinese actor Chen Baoguo (陈宝国), is a Chinese television series based on historical events during the reign of the Jiajing Emperor (1507-1567) of the Ming dynasty. It was first broadcast on Hunan TV in China in 2007. On Douban, more than 55000 people have reviewed this movie at time of writing, coming up with a score of 9.7, one of the highest in this list. The drama was also broadcasted in other countries, such as South Korea. 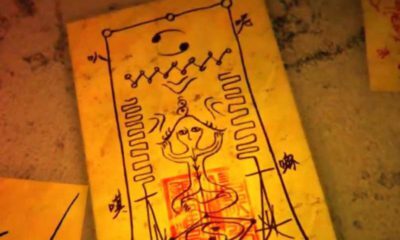 Also known as Snail House, this TV drama was all the rage back in 2009 for its focus on the crazy housing market in urban China and the lives of ordinary Chinese who are struggling to survive in the city while living in small spaces. 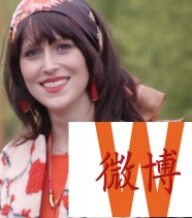 Dwelling Narrowness, based on a novel by the same name, tells the story of two sisters with very different lifestyles who are looking to find a home in Shanghai (or actually, the fictional city of Jiangzhou, that basically represents Shanghai), and improve their quality of life, each in their own way. 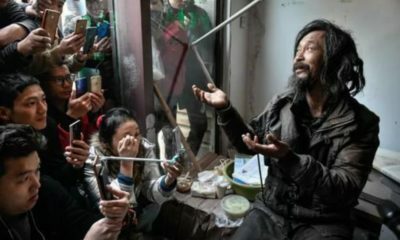 The real estate bubble is a major theme throughout these series, and the TV drama was much-discussed within the frame of Chinese urban dwellers becoming “house slaves” (房奴). In the year of its broadcast, Wall Street Journal featured an article dedicated to the series and the discussions it triggered online. 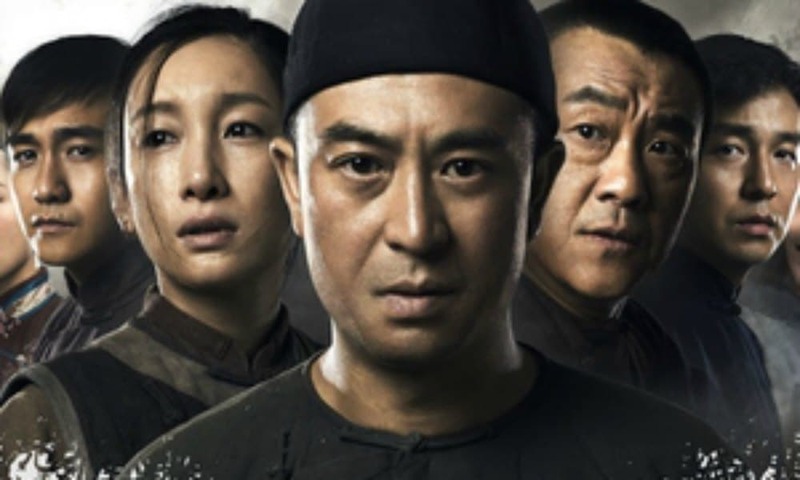 War drama The Red (Hóngsè) receives a 9.2 on Sogou, showing its success over the last four years. Edward Zhang (Zhang Luyi 张鲁一) stars in this drama as an ordinary worker in Shanghai who gets caught up in underground circles at the start of the Second Sino-Japanese War, and unexpectedly becomes part of a decisive moment in Chinese modern history. Perhaps unsurprinsginly, ‘Patriotism’ is a key theme throughout The Red. Rated with a 9.6 on Sogou and a 9.6 by more than 26,000 people on Douban, this TV drama has already become somewhat of a classic in the few years since its airing. 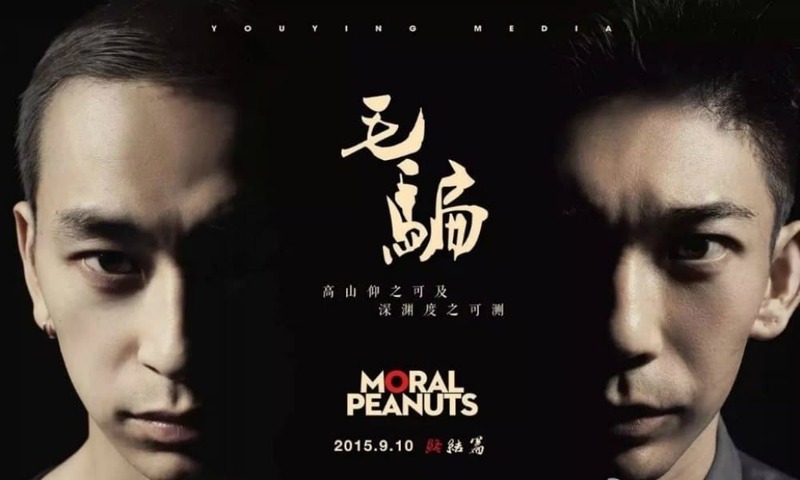 Moral Peanuts is a multiple season series (started in 2010), that follows a gang of five young friends who live together and earn their living in a fraudulent way. The series is characterized by its cliffhanger endings and its ‘grey’ portrayals of its characters. Available with English subtitles here. In the Name of the People is a 2017 highly popular Chinese TV drama series based on the web novel of the same name by Zhou Meisen (周梅森). Its plot revolves around a prosecutor’s efforts to unearth corruption in a present-day fictional Chinese city by the name of Jingzhou. WAtch with English subs at New Asian TV here. This TV drama has consistently been ranking number one in Baidu’s and Weibo’s popular drama charts last year, and is now ranked with an 8.8 score on sites such as Douban. Although it is somewhat tricky to call such a present-day drama a ‘classic’, we’ll take the chance. White Deer Plain is based on the award-winning Chinese literary classic by Chen Zhongshi (陈忠实) from 1993. The preparation and production of this series reportedly took a staggering 17 years and a budget of 230 million yuan (US$33.39 million). The success of the novel this TV drama is based on, has previously been compared to that of One Hundred Years of Solitude by Gabriel García Márquez. 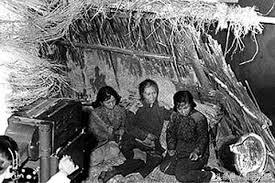 White Deer Plain follows the stories of people from several generations living on the ‘White Deer Plain,’ or North China Plain in Shaanxi province, during the first half of the 20th century. 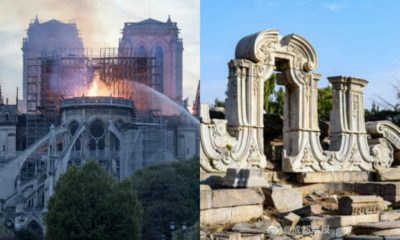 This tumultuous period sees the Republican Period, the Japanese invasion, and the early days of the People’s Republic of China. The series is great in providing insights into how people used to live, from dress to daily life matter. The scenery and sets are beautiful. Want to know more? 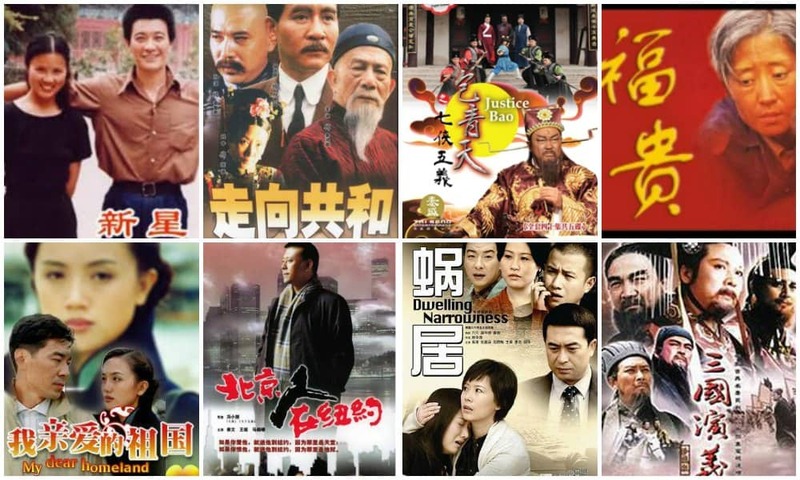 Check out our various Top 10s of popular Chinese TV Dramas from 2013 to present here. *1(We kindly ask not to reproduce this list without permission – please link back if referring to it). 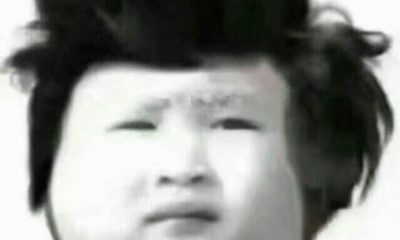 Bai, Ruoyun. 2007. “TV Dramas in China – Implications of the Globalization.” In Manfred Kops and Stefan Ollig (eds), Internationalization of the Chinese TV sector, 75-99. Berlin: LIT Verlag. 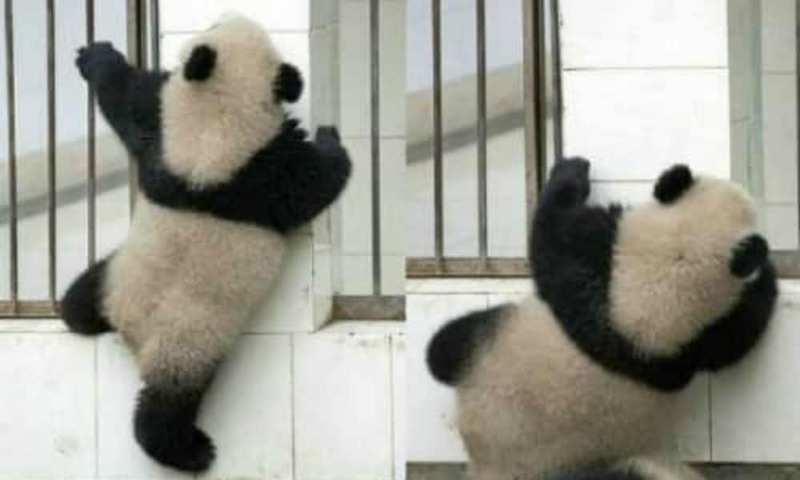 Bai, Ruoyun. 2014. 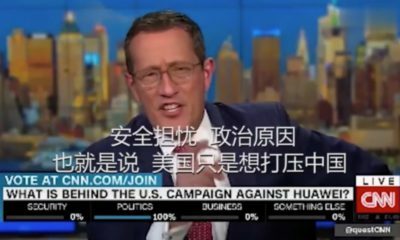 Staging Corruption: Chinese Television and Politics. Vancouver: University of British Columbia Press. Barmé, Geremie. 2012. “Red Allure and the Crimson Blindfold.” China Perspectives, 2012/2, 29-40. Di, Miao. 2008. “A Brief History of Chinese Situation Comedies.” In Ruoyun Bai, Ying Zhu, Michael Keane (eds), TV Drama in China, 117-129. Hong Kong: Hong Kong University Press. Hong, Junhao. 2007. “The Historical Development of Program Exchange in the TV Sector.” In Manfred Kops and Stefan Ollig (eds), Internationalization of the Chinese TV sector, 25-40. Berlin: LIT Verlag. –. 2007b. “From Three Kingdoms the Novel to Three Kingdoms the Television Series: Gains, Losses, and Implications.” In Kimberly Besio and Constantine Tung (eds), Three Kingdoms and Chinese Culture, 125-143. Albany: State University of New York Press. Wang, Min and Arvind Singhal. 1992. “Kewang, A Chinese Television Soap Opera With A Message.” Gazette 49: 177-192. Directly support Manya Koetse. By supporting this author you make future articles possible and help the maintenance and independence of this site. Donate directly through Paypal here. Also check out the What’s on Weibo donations page for donations through creditcard & WeChat and for more information.